November 7th a big day for Mass Effect fans. N7 Day, as it’s known, has become the official day of Mass Effect, thanks to the prominence the “N7” label has in the Mess Effect universe. This year, BioWare released a video celebrating Mass Effect and its fandom. The final line of the video may give fans a glimmer of hope for the future of this beloved series. Casey Hudson’s appearance at the end is what has gotten fans so excited. He remarks about “dreaming about what the next great Mass Effect game will be.” It’s an optimistic outlook on a franchise whose future was uncertain. After the disappointing reception of Mass Effect: Andromeda, the latest entry, reports emerged of the series being put on hold. BioWare later said that Andromeda wasn’t built for post-launch DLC, a claim we pushed back against. 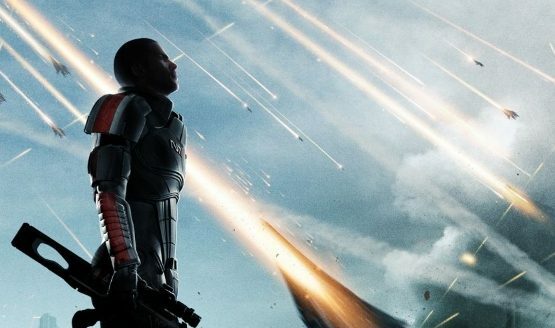 Recent teases suggested Mass Effect wouldn’t be gone forever, but it’s still reassuring to see more Mass Effect is planned.